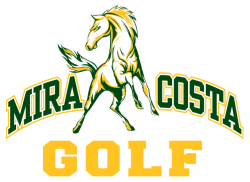 The role of the Mira Costa Boy's Golf Boosters and Girl's Golf Boosters is to provide annual funding for the entire program through donations, tournaments, nights out on the town, and community share programs. The Boosters provide funding for, assistant coaches, transportation, uniforms, supplies, range fees, green fees and tournaments. The Boosters combined efforts in 2014 to utilize a greater amount of family support, and the results have so far proven successful.